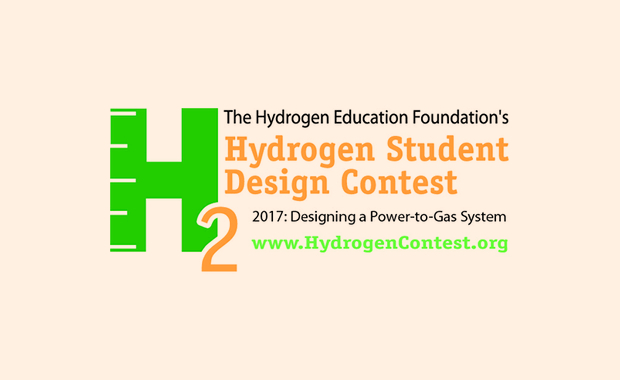 The Hydrogen Education Foundation (HEF) has announced and opened its international student design contest for 2017. Hydrogen Student Design Contest 2017 challenges student teams from around the world to “Design a Power-to-Gas System“, a system that uses electricity to produce hydrogen for cross market uses, including energy storage, ancillary services, and transportation fuel. The teams will choose a site in their area, engage their local electric and gas utility, coordinate with regulatory bodies and safety experts, and create educational materials, including a short video. The best project will be awarded with prizes, which are yet to be announced for the competition for 2017. Since 2004, the HEF Hydrogen Student Design Contest has challenged multi-disciplinary teams of university students to apply their creativity and academic skills in the areas of design, engineering, economics, environmental science, business and marketing to the hydrogen and fuel cell industries. The Contest is open to undergraduate, graduate and Ph.D. students worldwide. Multiple teams from one institution are permitted, but students may not belong to more than one team, and teams must work independently.